Criminal charges can lead to serious penalties, including time behind bars, fines, and long-term consequences such as having a criminal record that affects your job prospects. After being charged with a crime, meeting with a criminal lawyer in La Plata should be your main priority. To get the most out of your initial meeting with your criminal lawyer, it’s best to arrive at the law firm prepared. Your attorney at law will have plenty of questions for you about your case, including details about your arrest and the charges against you. It’s a good idea to make some notes as soon as possible after you’ve been released from jail. Your criminal lawyer will need to know about events that occurred before, during, and after your arrest. If the arresting officer made a procedural error, you need to tell your lawyer. Remember that anything you tell your attorney is confidential. It’s important to be honest and not to omit any details because this can adversely affect the outcome of your case. Your criminal lawyer will need certain documents from you, such as any papers you received from the court, your bail papers, the police report, and any paperwork the police produced regarding a search of your property. Bring along records of your prior arrests and convictions, if applicable, and bring the dates and times of your next court appearances. Other information your criminal attorney may request includes whether there may have been any witnesses to the alleged incident or your arrest. If possible, write down their full names and contact information. 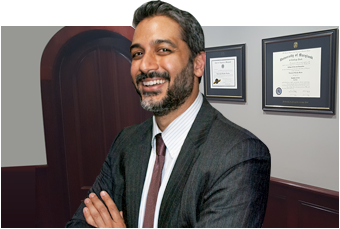 During your consultation, you will have the opportunity to ask your criminal lawyer any questions you may have. Some of your questions may involve the lawyer’s background and expertise. For example, you could ask the attorney whether he or she has previously handled cases similar to yours. Additionally, you could ask the attorney about your legal options, what you can expect to happen next, and how you should respond to further police interaction.